Call 828-393-0143 to schedule your first appointment. Miracle-Ear® is America's most recognized brand of hearing aids. We’re proud to be the company people trust when it comes to enhancing their hearing abilities. Taking your needs into consideration, our experienced hearing care specialists will assist you in finding the best hearing aids in Forest City, NC. Throughout our more than 70 years in business, the Miracle-Ear brand has expanded to include over 1300 locations nationwide, and each hearing aid center is independently owned and operated. We create custom-designed products that are both comfortable and discreet while incorporating the latest in technology. If you’re one of the more than 36 million people who suffer from some sort of hearing loss,* we’d love for you to discover and experience the Miracle-Ear advantage. Are You Ignoring Signs of Hearing Loss? Don’t go to just any hearing aid center when you can rely on Miracle-Ear to take care of all your hearing aid needs. We proudly serve customers throughout Forest City and Spindale. Contact our location today to speak with one of our knowledgeable hearing care specialists or to schedule an appointment for your nearly invisible hearing aid. 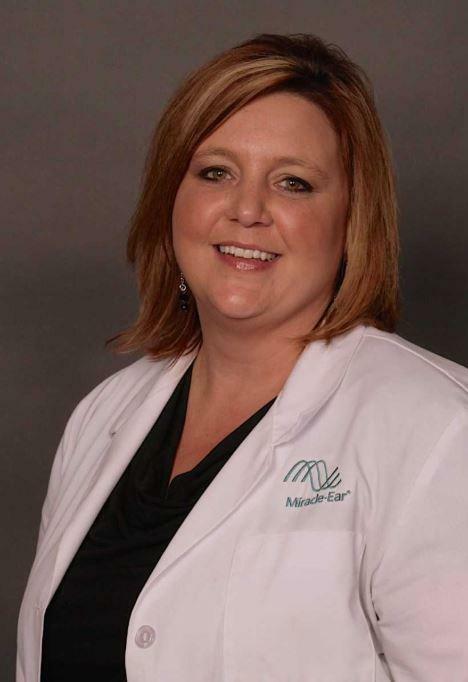 I began working for Miracle-Ear® in 2006 as a Patient Care Coordinator. In 2010 I decided to further my education to become a Hearing Instrument Specialist. In 2011, I obtained my NC Hearing Aid License. In addition, I completed all educational requirements to become fully credentialed as a Nationally Certified Miracle-Ear® Consultant and am a proud member of the International Hearing Society. I am very fortunate to have a job that I look forward to coming to every day and that allows me to use my training and knowledge to help others. Nothing is more important to me than the help and service I provide my patients and the community. My goal is to continue to provide the finest hearing healthcare to my current patients and to help as many as I can with their hearing needs. I am proud to be part of the Miracle-Ear® family and looking forward to serving the community for many more years to come. I grew up in Cleveland County and it is a great honor to help the people in my hometown to reconnect with family and friends through better hearing.